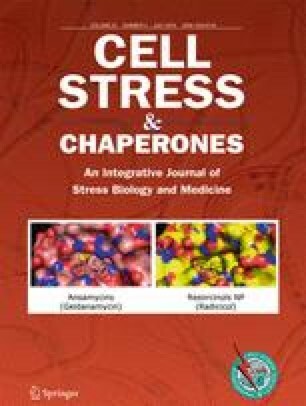 The heat shock protein 90 (Hsp90) is a copious and ubiquitous molecular chaperone which plays an essential role in many cellular biological processes. The objective of this study was to identify single nucleotide polymorphisms (SNPs) in the Hsp90AA1 gene and to determine their association with heat stress traits in Chinese Holstein cattle breed. Direct sequencing was used to identify new SNPs. Luciferase reporter assay methods were used to assess g.− 87G > C and g.4172A > G loci in the promoter activity and 3′-UTR, respectively. Quantitative real-time PCR was utilized to quantify the gene expression profile. Five SNPs were identified in 130 multiparous lactating cows: one SNP in the promoter, three SNPs in the coding region, and one in 3′-UTR were novel and reported for the first time in this study. As a result of promoter assay using dual luciferase assay system, the genotype CC showed the highest transcription activity region (13.67 ± 0.578) compared to the wild-type GG (3.24 ± 0.103). On the other hand, the result revealed that one of the selected microRNAs (dme-miR-2279-5p) was found to interact with the Hsp90AA1 3′-UTR sequence and to suppress the reporter activity markedly in the presence of the allele G (2.480 ± 0.136). The expression of Hsp90AA1 in cow bearing mutant allele C was higher (4.18 ± 0.928) than cows bearing wild-type allele G (1.008 ± 0.0.129) in stress season. In summary, there was an association between genetic variations in the Hsp90AA1 and thermoresistance. This association could be used as a marker in genetic selection for heat tolerance in Chinese Holstein cattle breeds. The online version of this article ( https://doi.org/10.1007/s12192-017-0873-y) contains supplementary material, which is available to authorized users. The authors would like to thank Dr. James Hadley from the UK for helping in language checking of this manuscript. We also want to express our thanks to Xigang and Tangquan dairy farms for allowing us to conduct this study on animals in their farms. The authors also would like to thank the National Science Foundation of China (grant no. 31372290) and the Science and Technology Sustainability Project of China (2012BAD12B00) for funding this project. Berry I, Shanklin M, Johnson H (1964) Dairy shelter design based on milk production decline as affected by temperature and humidity. Transactions of the ASAE 7: 329–331. doi: https://doi.org/10.13031/2013.40772)@1964. Chen B, Zhong D, Monteiro A (2006) Comparative genomics and evolution of the HSP90 family of genes across all kingdoms of organisms. BMC Genomics 7: 156. doi: https://doi.org/10.1186/1471-2164-7-156. Collier RJ, Stiening C, Pollard B, VanBaale M, Baumgard L, Gentry P, Coussens P (2006) Use of gene expression microarrays for evaluating environmental stress tolerance at the cellular level in cattle. J Anim Sci 84: E1-E13. doi: https://doi.org/10.2527/2006.8413_supplE1x. Pirkkala L, Nykänen P, Sistonen L (2001) Roles of the heat shock transcription factors in regulation of the heat shock response and beyond. FASEB J 15: 1118–1131. doi: https://doi.org/10.1096/fj00-0294rev. Trott JF, Freking BA, Hovey RC (2014) Variation in the coding and 3′ untranslated regions of the porcine prolactin receptor short form modifies protein expression and function. Anim Genet 45: 74–86. https://doi.org/10.1111/age.12100, 1. Wan Y, Ma C, Wei P, Fang Q, Guo X, Zhou B, Jiang R (2017) Dynamic expression of HSP90B1 mRNA in the hypothalamus of two Chinese chicken breeds under heat stress and association analysis with a SNP in Huainan chickens. Czech Journal of Animal Science 62: 82–87. https://doi.org/10.17221/8/2016-CJAS.